Electric Companies aren’t all created equal, so it’s important to choose yours wisely. Here is a list to help you compare electricity companies side by side, with some quick info as well as customer satisfaction ratings we compiled based on recent reports. After being a supplier of competitive natural gas rates for over a decade, MX Energy is now in the business of offering low electric rates to commercial and residential customers in specific markets. Positive Energy offers a low variable electric rate to Connecticut customers with no contracts and no cancellation fees. 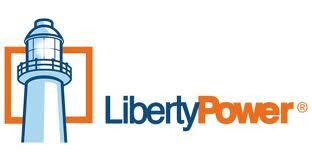 Liberty Power is one of only three electric providers licensed in 15 or more of the 21 currently deregulated markets. Bounce Energy is known for their low residential rates and great incentive offers in Texas. Green Mountain Energy is an energy provider located in Austin, Texas who is dedicated to clean energy through their wind power electric rate offers.